I can hold my hands up high and say that I spend 99% of my time, planning and wishing of things to come in the future but then sitting on my arse and not achieving them! 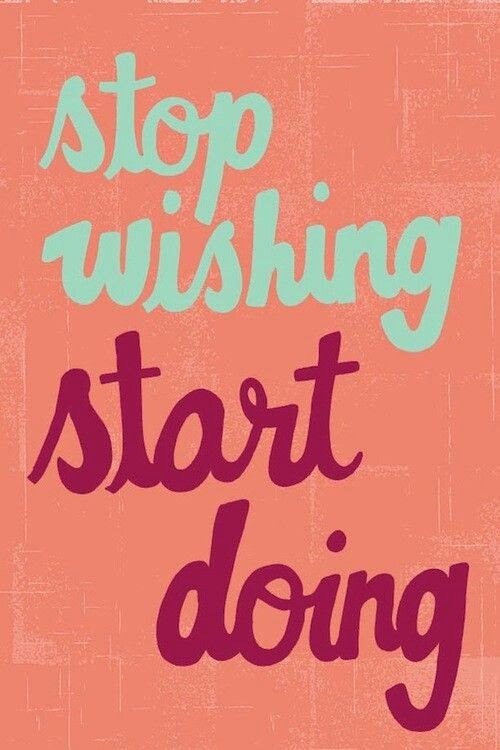 So this week, if there’s something you’ve wanted to do for a long time now, just go ahead and do it! Let me know what that is below and I hope everyone has a fantastic Monday! Yes, I love this!!! I've been living my life like this a lot more recently and been getting a lot out of it! Definitely a motto to live by!